Beyond the flags featuring beaming alumni at Legacy Christian Academy's welcoming, cheerful Valencia campus is the first physical layer of security - a pass-coded, locked front door with a view-limiting film. 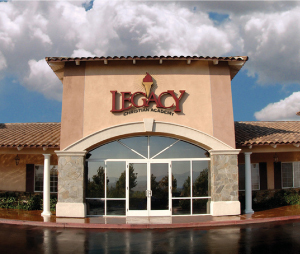 "You can only gain access to our campus by entering the code," explains Maria Johnson, Legacy's front-desk administrative assistant. "If you don't know the code, you'll press the 'bell,' which engages the video monitor. We make sure that every person we allow access to has a legitimate reason to be here before those doors open. And, we also are now able to monitor exterior and hallway cameras all day long, too, via our third computer monitor," she explains. In addition to security cameras in the hallways and surrounding the exterior of the property, every classroom also boasts a high-tech camera to ensure that no corner of the campus is uncovered. "Visuals are very important and allow us to respond promptly to any concern - whether that's an issue of security or health and wellness. It reduces ambiguity and gives the administration team the tools to protect our community," says Associate Head of School Garrick Moss. But sometimes, danger isn't so obvious. A person's background can sometimes be cause for alarm, too. Luckily, Legacy has found a solution. "We use LobbyGuard - a system that's rarely found in schools because it can be cost prohibitive... but, in our mind, it's essential," says Millett. "Every person who walks through our doors, even if they're just here to drop off a lunch, is required to scan their driver's license. The program immediately performs a mini-background check, determining if that individual is in any flagged databases because of maltreatment of children. 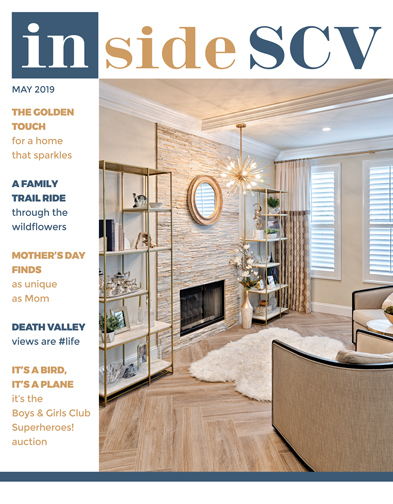 It's another layer of security Legacy provides so that parents can experience peace of mind," says the head of school. If the guest does not pass the LobbyGuard check, no tag will be issued to them and the staff and administration are immediately notified. "We take the trust that parents have in us - the reliance to keep their children safe while they are in our care - very seriously," says Millett. "It's paramount, because only when a child feels completely safe can they entirely invest their energies into academic and spiritual growth. The same goes for parents. When they drop their beloved children off in the morning and head to work or to manage their day, they need to feel confident in us so that they can be focused and successful." At Santa Clarita Valley International Charter School, technology is a core component of everything they do. They strive to prepare every learner to become a thinker, innovator and leader in a rapidly-changing world - a world in which technology is an integral part of the everyday fabric of life. SCVi learners utilize technology in numerous ways, whether it's researching to gather multiple perspectives on a topic or applying technology to create a project. 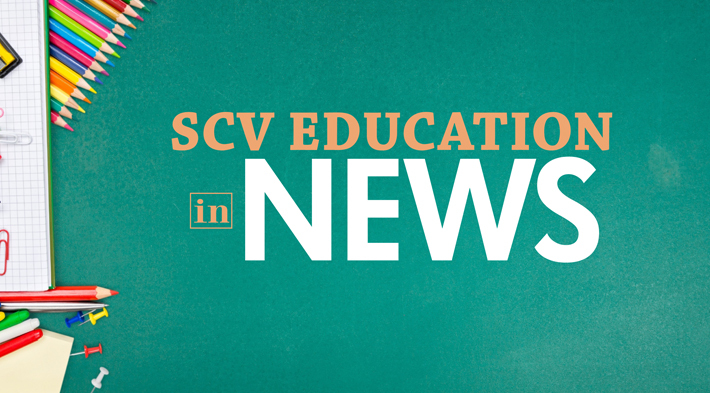 SCVi, the founding campus of iLEAD Schools, is a tuition-free public TK-12 charter school where they develop internet strategies and cultivate familiarity with technology from the earliest ages. Rather than relying on a textbook with a single point of view, learners seek out multiple points of view, from multiple resources. The knowledge they gain through their research is then applied to projects with real-life applications. A student might use what they learn to build an item from scratch in their makery, or conduct a hands-on experiment to test a theory they've developed. At SCVi, it's all about learning through "doing," in an environment where modern technology isn't a novelty - it's a tool to be used for thinking, learning and creating, every day. SCVi Charter School, the founding campus of iLEAD Schools, is located on Hasley Canyon Road in Castaic. Call to request a tour. Would your child - and their GPA - benefit from summer math and/or science courses taught by real teachers in a real class setting? This is the best opportunity to replace a grade to improve their GPA or, even better, to get ahead, raising their competitiveness for college admissions. Math 8A/8B and math electives. All courses are aligned with Common Core and WSHSD. Schedule your child's summer sessions with confidence; Math Support Services has served over 6,000 students since 1997 and has a 98-percent success rate. Early registration discounts, schedules and session dates are available at mathsupportservices.com.